Born in Atlanta, GA, Lynne Keel attended the University of Georgia and graduated in 1997 with a Bachelor’s degree in Journalism with a focus in advertising. Through Stephen Ministry, Lynne experienced God’s call to ministry, and she graduated from Columbia Theological Seminary with an M.Div. degree in 2007. 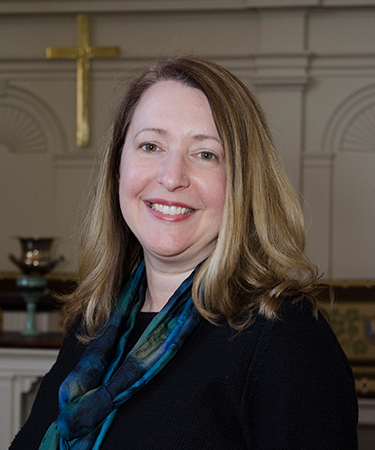 After completing a residency as a Hospice Chaplain in Atlanta, and prior to arrival at FPC Concord, she served as Associate Pastor for Congregational Care at South Mecklenburg Presbyterian Church. In her spare time, Lynne enjoys spending time with her husband, Gene, and her daughters Amina, Gabbie, and Gwyneth. Her hobbies include reading, hiking, and singing. Originally from Tallahassee, Florida, Rachel earned a degree in Art History and a minor in Museum Studies from Florida State University in 2009. She earned her M.Div. degree from Columbia Theological Seminary in 2013. 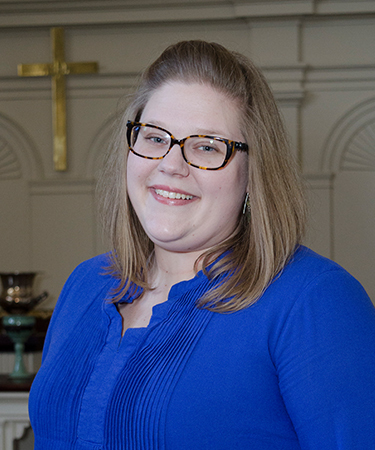 Most recently, Rachel completed a two-year pastoral residency as a Lake Fellow at Second Presbyterian Church in Indianapolis, Indiana (4,000 members), and its partner church, Wabash Avenue Presbyterian Church in neighboring Crawfordsville (150 members). Rachel is married to Rev. Chris Vogado, and together they enjoy playing music, adventuring, and frolicking with their cat, Sherlock. In her free time, Rachel enjoys gardening, traveling, reading, swinging in hammocks and exploring the arts. 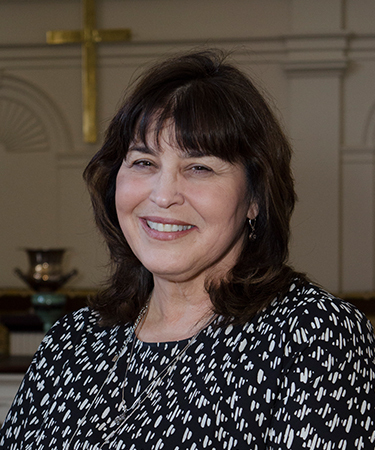 Jacquie has been the music director and organist at First Presbyterian Church since 2004. In addition to playing the organ for and planning the music in worship services, she oversees the music planning, coordination, and performing of the adult and children’s choirs. Jacqueline is also a professor in Music Theory and Aural Skills at UNC-Charlotte, where she also serves as the instructor for applied organ. She holds the BM and DMA in organ performance and literature from the Eastman School of Music in Rochester NY, where she also received the prestigious Harold Gleason Emerging Artist Award and The Performer’s Certificate. 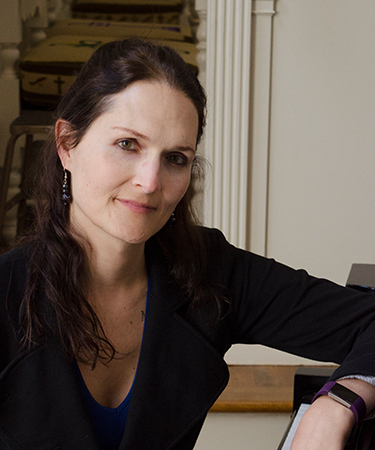 In addition she holds an MM in organ performance and improvisation from The Cleveland Institute of Music and an MA in Music Theory Pedagogy from the Eastman School of Music. When not doing music, “Ms. Jacquie” (as she is often addressed by the children at First Pres) loves to run marathons, cook (and eat) French food, and read 19th century British literature. She hopes to never retire and will someday author children’s books. 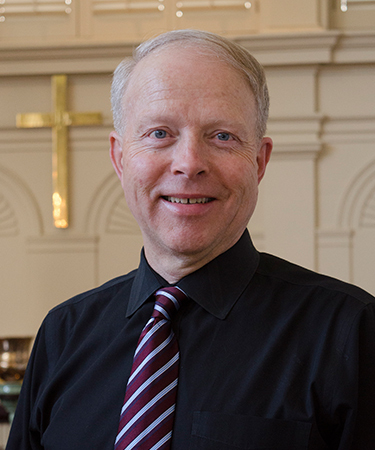 Jeffrey Price, Choirmaster, has served First Presbyterian Church of Concord since February 2004. He encourages members of the Sanctuary Choir and congregation to sing and give their best music to God through hymns, anthems, introits and prayer responses. Jeff and the Sanctuary Choir have led and collaborated on outreach presentations in retirement communities like Taylor Glen, and worked with organizations in the broader community including the Piedmont Choral Society, Central United Methodist Church, the Northeast Foundation, Central Piedmont Community College Opera Theater, and the Festival of Churches at Piccolo Spoleto in Charleston, South Carolina. Jeff strives to affirm and enable others to use the gifts God has given them to praise God, and bring joy, inspiration, and comfort to each other. 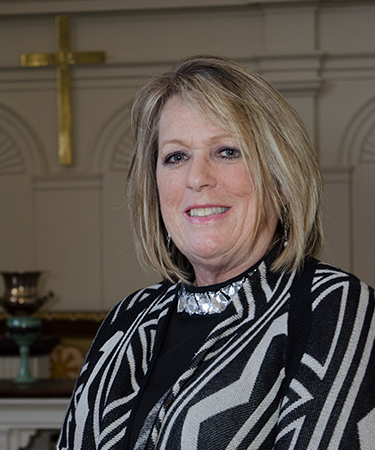 Christy has been the Financial Secretary at First Presbyterian since November of 2003. Before coming to the church, she was a faithful employee of Cannon Mills/Pillowtex for 23 years. Christy received her BA in Business Administration from Catawba College. She is married to Andy Canupp and has two children, Rex & Jennifer. She enjoys reading, gardening, walking, and grandbabies. 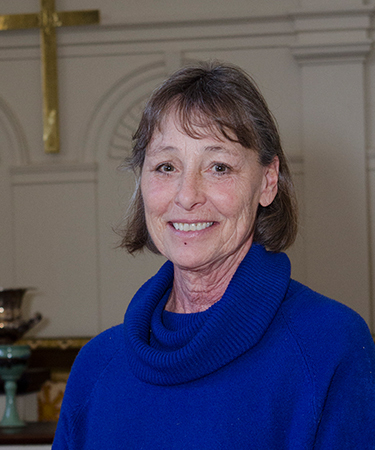 Maureen has served as the director of First Kids Preschool since 1992. Originally from Louisville, KY, she has earned BA degrees in both Special and Elementary Education from the University of Kentucky and an MA degree in Early Childhood Education from UNCC. Before joining our staff Maureen was a teacher for Iredell Co. Schools and for the past ten years has worked as an adjunct instructor in the Early Childhood Education Department at RCCC. Maureen is deeply devoted to improving the lives of young children in our community and serves as a volunteer in many organizations including the Cabarrus Partnership for Children. She is a past recipient of NC Child Care Resources T.E.D.D.Y. Award and the CRSAEYC Anne Laukitis Pulling for Children Award, for her service and advocacy for young children. Maureen’s family includes two sons, Chapman and Patrick, daughter-in-law Kellie, and a furry crew of rescued animals. 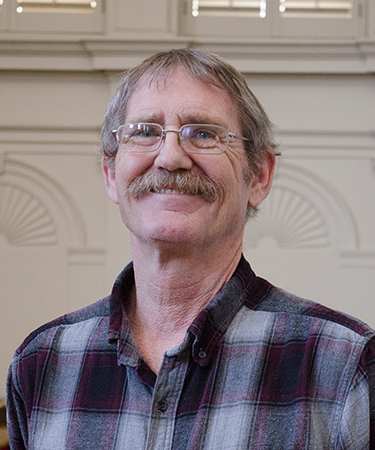 A native of Concord, Heath has handled maintenance and upkeep responsibilities for the church since 1998. He has served as a Cubmaster and on the boards of several local organizations, including a term as chairman of The Historic Preservation Commission of the City of Concord. He is currently a member of the Concord Lions Club and the Food Policy Council of Cabarrus County. Heath and his wife Carolyn have two children, Elizabeth and Bennett. He enjoys, gardening, watercolor painting, local history, spending time with family, and caring for their four dogs. Heath’s greatest claim to fame, however, may be his homemade cheesestraws!